We know that going through a home improvement project can be a financially strenuous time for most, so we’ve compiled a little list of ways to put your bank account more at ease. We can’t stress enough… plan, plan, and when you think you’re done planning, plan some more! This will inevitably save you costs in the long run, as it avoids the need for rectifying any possible mistakes. 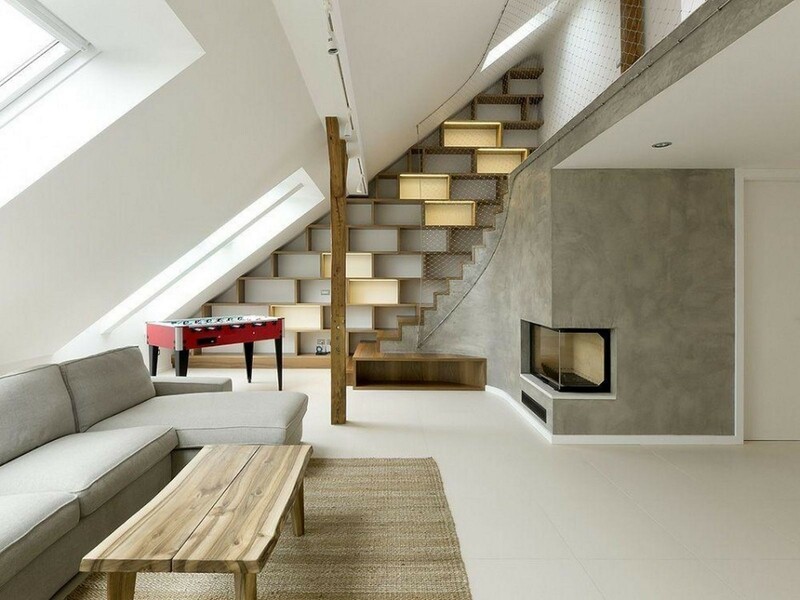 Why do you want to convert your loft? Is your aim to add value to your home? Who will be using your loft? These questions will help you consider whether you really need a dormer extension (one that protrudes outwards horizontally from the roof), or whether your project can be completed successfully without this costly process. There’s a general rule as to whether you have enough useable space to convert without an extension. If your loft is 2.2m or more from the base to the highest point in the centre. Your walls slope at a 30 degree angle or more. Your floor area is 5.5m side to side and 7.5m front to back, or more. If you’ve ticked all these boxes then, congratulations, you’ve passed! However, every loft is different. If you’re unsure about yours, this is something your architect can advise you on. Which brings us to our most important point - use the skills of an architect. Even though you may not be adding an extension to your roof, you will need a professional to help you through the planning process. While, granted, this service will come at an additional cost, this will undoubtedly pay itself off throughout the process. An architect has the relevant knowledge to advise you on your proposed budget for the project, and can help you make sure you stick to this throughout. This helps eliminate those oh so scary mid-build financial surprises. Architects are able to do so because of their wealth of past experience in safeguarding budgets, by becoming knowledgeable on cost effective design ideas. Not only this, but they can make sure that you attain maximum value from your venture. While it is always beneficial to improve your home in order to better your day to day life, the selling price of your home should always be a factor. Hiring an architect can ensure that the value will be raised as a result of your project, and therefore save you money. Many people admit that their main regret when converting their loft is that they didn’t project manage it themselves. However, as you may have guessed, this endeavour is not for the faint hearted. While self-managing could very well save you money in the long run, you have to feel confident in your abilities in order to avoid far-reaching errors. The position entails being clear on what needs to be done, managing deliveries, nailing down timings, liaising with contractors, ensuring you’re sticking to a budget... the list goes on. In order to do the job justice, you have to have faith in your skillset, with PLENTY of time on your hands. DIY is a great way to save money on your conversion, an activity that for many can be highly enjoyable at the same time. While it is obvious that, unless you’re Bob the Builder himself, you cannot undertake everything as DIY, you can give the smaller jobs a go. This is a simple cost saving trick, but not one that everyone does. Don’t instantly go with the cheapest option you’ve been given, do your research and make sure you obtain at least three quotes from each industry you’re using. Read reviews, ask friends, speak with the company. This will help you make sure that you’re hiring reputable professionals, especially contractors. The problem with this business is that anyone who wants to be a builder, can be a builder - no license, nothing. So, look for ones that are approved by the Federation of Master Builders, as this will mean you’re guaranteed a level of quality, plus insurance if anything were to go wrong with your project. If you choose to go undergo your planning stages with Resi, we offer a connect service whereby we can recommend reputable professionals for the next stages of your project. Want to discuss your loft conversion? Book in a free consultation call with our expert advisers today.